With the influx of home invasions, Kenosha, Wisconsin locals are more and more interested in securing their homes to keep their families safe. There are many ways that you can keep your home safe from being a target for a would be burglar. Some of the ways are simple but may be overlooked by many homeowners because they are not thought about or they don’t realize the security that they really will have for the home. Keeping a home secure is a great way to allow you and your family to stay safe and feel comfortable with living in your home. Even if you live in a gated community you could still fall victim to a home burglary. You should do all that you can to keep it locked up tight. Best Locksmiths list ways you can keep your home safe and secure. Deadbolt Installation: If you have locks on your front doors you want to take time to have them inspected by a professional. The professional can come out and inspect each of the locks to be sure they are working great. They can also come out and install a deadbolt on the front door which is a great way to add a level of security to that entry point. A deadbolt makes it so that a door is less likely to be kicked in because it is engaged into the actual framing instead of just the door gap. Lock Down Your House: This may seem silly but many times people come home to see their home has been burgled and there is no sign of a break in. Then they realize they have forgotten to lock all the doors and a thief just walked right in. Have a plan when you are leaving so you do the lock up and checking in the same order every time. That will ensure that each door and window has been looked at and locked if necessary. You can leave feeling confident that each entry point is locked and secure. Lights Help Secure Your Home: If someone nefarious is targeting a home, they are looking for a way to get to the door or window without being exposed. If you have areas that make it easy for a thief to hide you may end up a victim. You want to add exterior lights that illuminate the home so you have no areas that are easy to hide in. You can use lights that are set to come on when movement is detected so that you don’t have to remember to turn them on and off. Best Locksmiths offer emergency and non emergency locksmith services in Racine, Oak Creek, Burlington & Kenosha Wisconsin. If you are interested in having your home secured by adding deadbolts and secured locks to your home, contact a residential locksmith like Best Locksmiths. We can inspect locks and add more to any area of your home. If you ever get locked out of your house or car, you know how annoying it can be waiting for someone to show up with a spare key or for a professional locksmith. Having a spare key sometimes doesn’t appear to be a priority until you get locked out or lose yours. Some people will attempt to get in their car using a coat hanger or magnets to manipulate the lock. These methods may not work on modern cars and will probably cause some damage to the windows, doors, locking mechanism and/or the paint job as well. 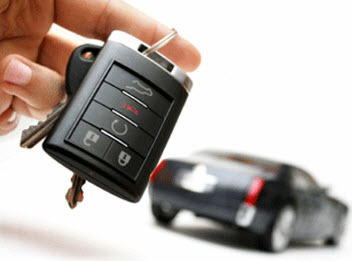 Professional locksmiths use several methods to unlock cars. The tools used will depend on the type of car and its locking system. When we talk about picking a lock it means that the lock is opened with an instrument other that the proper key. Most of the time a pin tumbler lock is used for the doors on your house. It’s a lock mechanism that uses pins of varying lengths to prevent the lock from opening without the correct key. The locksmith needs to have access to the locking mechanism from the outside of the car. This requires creating a gap between the door and window and the car’s interior. This is done using wedges so that another tool can then be inserted to release the lock. There are various plastic, vinyl or metal wedges. More than one may need to be used with a smaller one inserted first so that a larger one can then be used. Metal wedges are the strongest but can cause damage. There are also inflatable wedges that are first inserted flat and then gently pumped up to create the gap. Once the gap is created and the locksmith can access the interior of the car he will use a long tool that is inserted to manually pull open locks, tabs, or press buttons to unlock the door. Some of these tools have angle tips or loops at the end to assist the locksmith to move around in tight or awkward spaces. Professional locksmiths can also use lock pick sets to release the locks without having to manipulate the doors or windows. They are available for domestic and foreign cars. These work with a special wrench that places tension on the lock cylinder while the locksmith picks the lock. Another tool sometimes used is an electric pick gun. This gun basically consists of one or more vibrating, pick shaped pieces of metal. These long pieces of metal are inserted into the lock. When the metal pieces vibrate they can push the pins of the lock. 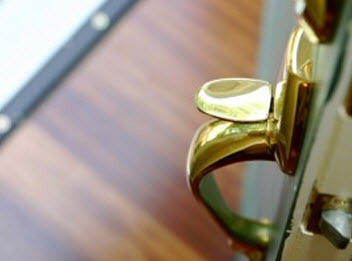 You will need proof of ownership for the locksmith to pick your lock. Let’s hope you have your driver’s license or some form of ID that proves it is your house. Before helping you gain entry into your home, the locksmith should verify with some form of ID that it is in fact your place. This can be a major point of liability for locksmiths. This is why most states require locksmiths to be licensed and bonded. Your car is a big investment and your home an even bigger one. If you’re locked out, the safest and most reliable way to unlock it is to call a professional like Best Locksmiths. Most people are home often and do not leave their home on a regular basis. They have keys that they use to get in and out of the house and give a key to other members of the house as well. When someone does leave the house for an extended amount of time they may want to have a key somewhere so that they can give someone access to their home for an emergency or to help take care of the home. No one wants to leave their home open to just anyone and want to make sure that their home is secure while they are gone. The place that a would be burglar would check first is under a mat that is out in front of someone’s house. That is why that is a terrible location that place your spare key. You want to use some discretion in placing a key to be sure that you are not putting it somewhere that is easily found out. 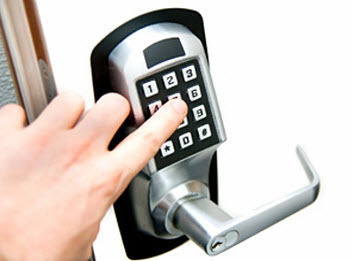 Best Locksmiths lists the best ways to give someone access to your home with a spare key or keypad. Have A Keypad Installed: You can go with an electric keypad that works a lot like a garage door keypad and can open the lock on a door when the correct code is entered. This keypad works with a code that you can set and give to who you want. This is a great option for someone that does not want to keep an actual key outside the home. Leave A Key With A Neighbor: Better than leaving a key out for just anyone to stumble upon you can leave it with a trusted neighbor that is willing to meet with the individual that you want to give access to. This person would be able to keep the key safe so that your home can stay secure. Put A Key Outside For A Short Time: If you have only the option to leave a key out for someone to pick up, you should only do this if you are leaving it for a short amount of time. You also want to be sure that you leave the key away from the front door or back door. The area surrounding the door is where someone may start to look for a key. A better location to place the key is around an air conditioning unit that is normally around the side of the home. It is also normally made out of some metal so that the key will blend in with it. Best Locksmiths offers key replacement, keypad installation and other quality locksmith services in Racine, Oak Creek, Burlington & Kenosha Wisconsin.